As comfortable as it may seem, sleeping on your stomach is fairly hazardous for your body. This is why you will need a stomach sleeper pillow that will support your neck and head adequately throughout the night. A pillow with thick cushioning will push your head up in an unnatural position, which is why a thinner pillow would be more recommended for you. As a stomach sleeper, you need to counter-balance your body in a way that does not stress the neck, and the best pillow for stomach sleepers may help you with that. This type of pillow can alleviate health problems that are prone to appear from sleeping on the stomach, thus, soothing the pressure exercised on the neck and spine. If you aren’t exactly certain what product to pick for your front sleeping habits, you might want to give this guide a try. It offers a range of important guidelines and recommendations that will make your job much easier. What Kind of Pillows Suit Best to a Stomach Sleeper? Depending on the way you approach the issue, sleeping on your stomach can be fairly dangerous for you. Granted, this position may efficiently prevent sleep apnea and snoring. Nevertheless, it could be stressful on your back. Most of the problems begin with the spine. Studies conducted by Mayo Clinic suggest that stomach sleepers receive more strain to the spine and back, simply because all the weight is exercised on the body’s middle. This will make it much more difficult to keep onto a neutral, pain-free position. Plus, if the spine is stressed, this will impact other body structures as well. Essentially, your spine is a pipeline for your nervous system, which means you can feel pain just about anywhere simply because of the spinal stress. Experiencing numbness and a tingling sensation is also common, and you might feel that parts of your body “fell asleep” – leaving the rest of your body awake. After the spine, the danger shifts towards your neck. Think about it: unless you have somehow found out a way to breathe through the pillow, you’ll have to keep your head turned towards the side. As a result, your spine and head will be out of alignment, and your neck will be twisted throughout most of the night. Use a thinner pillow (check our recommended products on top) or none at all. If the pillow is flat, your head and neck won’t be exposed to dangerous angles. Place a pillow under the pelvis to take the pressure off the spine and keep it in a neutral position. Stretch in the morning. It will help strengthen the muscles and put your body back into alignment. Ideally, you should avoid sleeping on your stomach altogether and learn to sleep on your side. A pillow for side sleepers will help you with that. Otherwise, align your spine with your stomach sleeping position using the right pillows. Nevertheless, it’s not a good idea to get a pillow designed with side sleeping in mind if you tend to sleep more on your stomach. It’s going to apply a lot of pressure on your spine, and you will no longer be able to get that much-needed sleep. Offer you enough support for the neck and back. Reduce pain caused by improper spine alignment. Allow you to sleep comfortably throughout the night. Your average pillow will support your neck while you are on the side and back, due to their thickness. Stomach pillows, on the other hand, support the neck by barely even being there. Since these pillows are very thin, they will not lift your head awkwardly, nor will they keep your spine in an unnatural alignment. Even though you can’t do anything about the neck-twisting part, you will significantly reduce the pressure by keeping the spine aligned. 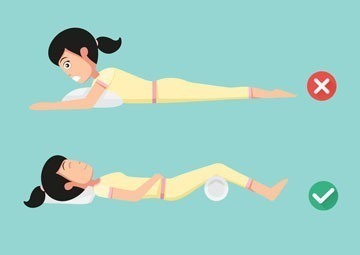 On that note, buying a pillow for stomach sleepers will keep your spine in a relatively straight line – therefore, you should no longer wake up with a painful neck in the morning. If you are set on buying a new pillow for stomach sleepers, you can’t simply buy the one that’s “most popular.” What works for your friend may not work just the same for you, so you need to consider a range of crucial characteristics. Loft: This might sound extremely obvious, but the slimmer the pillow, the better it will work for stomach sleepers. This might sound weird at first because we are used to seeing “high fluffy pillows” as being the most comfortable. However, such a pillow will just force your head up at an awkward angle, which is why you need something to keep you down and relatively straight. Shape: Similar to sleeping on your back, sleeping on your stomach will have you facing your shoulders towards the bed – which is why you will need a pillow wide enough to encompass them. Otherwise, they might just end up slumping down, causing you to go into a hunchback-like position. Firmness: Indeed, a pillow for stomach sleepers needs to be thin, but it doesn’t mean it has to lose in firmness. Since the distance between your head and the surface of the bed will be much shorter, the pillow will have to be firm enough so that it doesn’t “puff up.” It would be fairly uncomfortable if you woke up during the night only to find out the sides of your pillow are trying to suffocate you. Foam: These pillows are the most common choice for stomach sleepers since foam is very soft and cheap. It can mold around the body of the sleeper and offer support in the pressure points, offering you a good night sleep. The drawback, however, is that foam is not that durable. Thereupon, if you are looking for long-term comfort, you might want to consider something else. Memory Foam: Regular foam molds around the body part, but memory foam remembers it. It’s a great choice if you want to secure areas such as your neck and shoulder. It does, however, come with a higher price tag than regular foam. Comfort and Firmness Ratio: Regardless if you’re a back, side, or stomach sleeper, a pillow should be comfortable. It may take you a couple of tries to find “the one,” but if you find yourself tossing and turning all night, then you might want to look for a different level of firmness. Breathability: We might love being cozy and warm, but if it’s too warm, then we won’t be able to have a good night’s sleep. On that note, you will need a pillow featuring a good air flow that won’t have you switching to the “cool side” in the middle of the night. 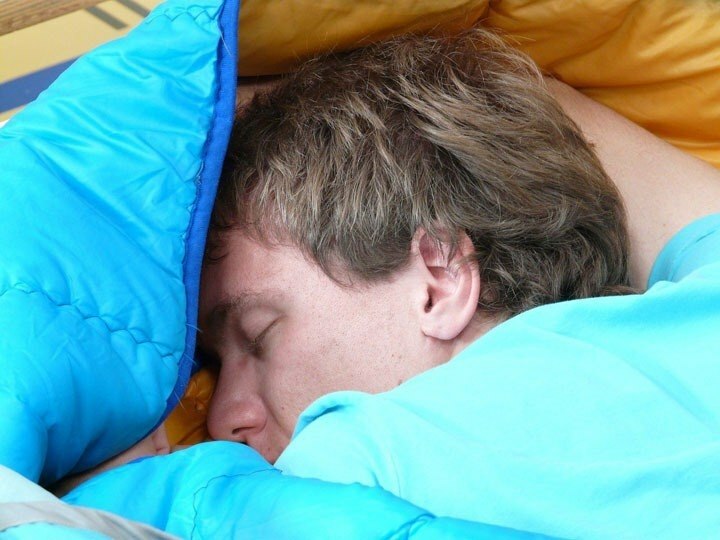 According to reviewers, memory foam pillows are great, cool alternative. Easy to Maintain: If you hate to dry clean, and you’d instead do three backflips, and sacrifice your soul to the God of pillows, you should choose a product whose care and maintenance instructions aren’t too comprehensive. Material: Each material has a certain durability and comfort. Memory foam will shape around your body better, which is why it is more recommended for stomach sleepers. Down tends to be prone to develop allergens – which is why it might be problematic if you sleep with your face constantly in the pillow. Meanwhile, latex has a cooling effect, while being surprisingly durable and firm. The bottom-line is that you should choose a pillow that meets your preferences and specifications. Size: Since you are sleeping on your stomach, then both shoulders will be in contact with the surface of the bed. To prevent the “hunchback” position as you are sleeping, you might want to pick a pillow that will accommodate the width of your shoulder. Cover Material: If you are a stomach sleeper with allergy issues, then a cover might be a great solution to washing your pillow every other day. All you’ll have to do is remove it and wash it yourself. 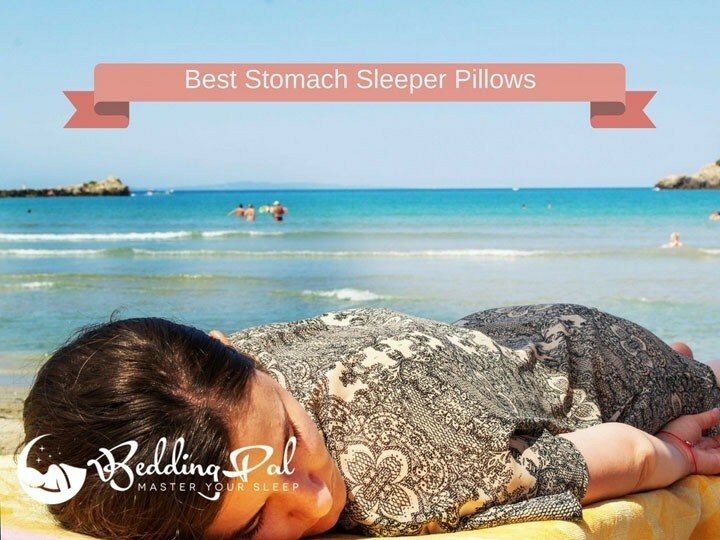 Stomach sleeper pillows are a great way to ensure a comfortable front sleeping experience, which will, in turn, improve your overall health, both mentally and physically. Finding the right pillow can sometimes be challenging. Below we’ve selected five pillows that are specially designed for stomach sleepers. This pillow is one of the most popular pillows on the market, regardless if you are a stomach, side or back sleeper. The reason why this appeals so much to stomach sleepers is its versatility. On that note, the most convenient part of the Pancake Pillow is you can adjust its layers, depending on your personal preference. It has a total of six soft microfiber-filling layers you can insert or remove. As a belly sleeper, you are likely to require only need one or two layers. Additionally, the case is equally handy, since it’s made from high-quality 300-thread cotton. A stomach sleeper that spends most of their night with their cheek strapped to the pillow will appreciate its fineness. The fact that it’s made from microfiber material is also perfect if you are struggling with allergies. Even if your face is practically squished into the pillow, you won’t have respiratory issues, nor will you be overheated. You can adjust its filling to suit any sleeper. Some people think that the layers are too soft, making the head sinking too low. This almost-three-inch pillow is perfect for stomach sleepers simply because it doesn’t lift your head up too much. It’s a very slim pillow made from just one piece of natural latex, which is anti-microbial, hypoallergenic, mildew resistant, and anti-dust mites. That makes it ideal for those coping with allergies. Another excellent thing about latex is the ventilation. Latex doesn’t retain part of the body’s heat, meaning that needn’t worry about overheating or anything of the sort. Plus, latex is one of the most durable materials, which is another advantage. Furthermore, this pillow accompanied by a soft cotton cover you can remove and wash whenever you deem it necessary. Some people claim that this billow is a bit on the firm side. Nevertheless, this could be a matter of personal preference, as most people consider this pillow being an excellent investment, as it diminished neck pain and discomfort. It is soft enough to contour to the head and neck. Pin-hole design facilitates excellent breathability and ventilation. Large sleepers may find it too thin. Small, lightweight users may consider it too firm. If you feel like the “Slim Sleeper” is too firm and thick, then you may want to turn it down a notch and go for the “Ultra slim Sleeper” model. Measuring only 2.5 inches, it’s best for stomach sleepers that sense even the slightest elevation from the mattress. The Elite Rest has a half-pillow design: it’s flat on one side and normal on the other. Thanks to the flat bottom, the pillow won’t shift around during the sleep. At the same time, that fact that it’s made from memory foam will ensure that the pillow supports your neck properly, without altering the correct position of your spine. The memory foam is also hypoallergenic and anti-microbial, making it perfect if you sleep on your stomach or you have allergies. It keeps your spine and neck aligned. It conforms to the shape of the head. It doesn’t shift during the sleep. According to some users, the air circulation feature could be enhanced. Some people think it is too soft. At the same time, this pillow is a lot thicker than your average pillow for stomach sleepers, but once your head hits it, this thickness will quickly go down. This means you get a soft pillow that will keep your spine straight while making you feel as if you are floating on a cloud. A feature appreciated by most users is that the pillow is machine washable. In fact, with appropriate maintenance and care, it should last you a few years. Not every stomach sleeper will like this option since they feel bothered by the “puff” forming in front of your face, and it might make you feel rather warm throughout the night – but it’s the perfect alternative if you like soft pillows instead of firm ones. Users who enjoy supportive pillows weren’t pleased by this particular item. This is another pillow that breaks the standard of regular stomach sleeper pillows. Made from high-quality duck down, this ultra soft pillow will reduce in loft size whenever your head hits the pillow. Since it’s filled with hypoallergenic down, breathing through the pillow will not be an issue for you in the case in which you have an allergy, or you’re hyper sensitive. The filling is also breathable, so even if you are sleeping face-front on the pillow, your face will still feel cool. At the same time, this is surprisingly durable for a down pillow, considering that it is classified as machine washable. That means it offers great value for the money. Overall, this is a pillow that we recommend for every stomach sleeper looking for an extra touch of softness. People who enjoy firm, supportive pillows weren’t happy with this item. Sleeping on your stomach may not be the healthiest position, but we can’t dictate the way in whichour body feels most comfortable. 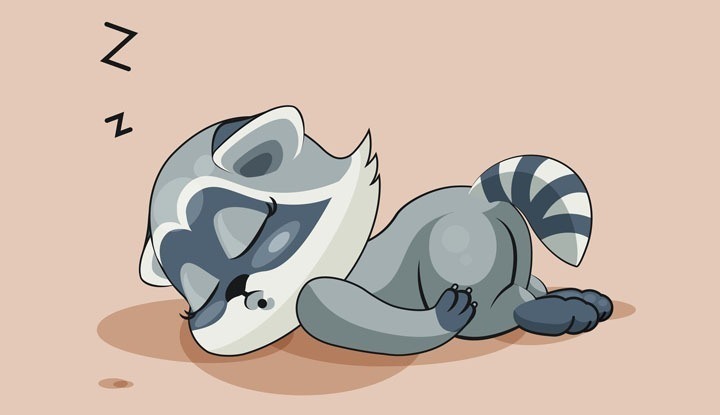 Nevertheless, if you prefer this sleeping position, you should invest in a pillow that does not force your neck or spine into an awkward position. On that note, the best pillow for stomach sleepers will keep your spine aligned as much as possible, allowing you to wake up pain-free in the morning. Essentially, the thickness of the loft is the most important aspect when choosing the pillow, followed closely by the firmness – although the latter depends on your personal preferences. We hope our guide and selection of thin & low-profile pillows will help you make the best choice for your habit of front sleeping.